With Christmas upon us—and New Year's Day a week away—the holiday sale madness is drawing to a close. But don't despair, because we scoured the web to find deals that are still worth your time (and any gift cards you might have received). Our initial search turned up everything from antivirus suites to all-in-one PC, but there could still be more to come. We'll update the listing if we spot any outstanding deals in the next few days. Be sure to check out our upcoming coverage on Amazon Digital Day on the 29th, too. McAfee has the latest version of its premium consumer security suite, McAfee Total Protection, on sale for $30. That's the same price we saw during Cyber Monday. This version of McAfee's security software gives you the right to install the security suite on 10 devices for a year. Normally it costs $100 for the first year for new customers, so this sale is a very respectable discount. This deal ends on Friday, December 29. 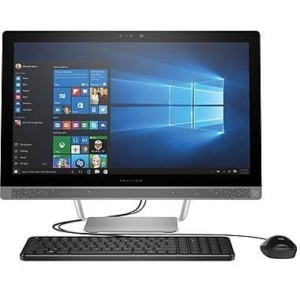 This week Staples is offering the HP Pavilion 24-b016 for $550. Though we've spotted it before for less, it's still $80 less than at other retailers and a good price overall. This PC comes with a dual-core, 3.2GHz Intel "Skylake" Core i3-6100T processor with HyperThreading, 8GB of DDR4 RAM, and a 1TB 7200rpm hard drive. The display is a non-touch 23.8-inch screen with 1920x1080 resolution. You also get two USB 2.0 and two USB 3.0 ports, 802.11ac Wi-Fi, Bluetooth 4.0, and Windows 10 Home. 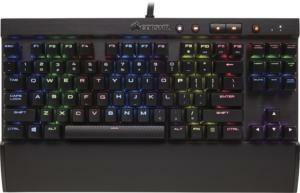 This week Best Buy has the Corsair Gaming K65 Lux RGB mechanical keyboard for $95. That's $38 cheaper than at competing stores, and $35 off Best Buy's previous price. The K65 Lux RGB is a compact keyboard featuring a 10-keyless design and Cherry MX Red switches, all housed in a lightweight brushed aluminum frame. It also boasts RGB LED per-key backlighting for an insane number of customizable lighting configurations, as well as a detachable wrist rest and FPS/MOBA keycap sets. If you don't need a number pad, this is a more affordable way to get your hands on one of Corsair's popular mechanical keyboards. Amazon's been selling the SanDisk Ultra Fit 128GB for $26 for a few weeks, but with the holidays coming to a close this sale price may disappear soon. It's close to the best deal we've seen, too—we haven't seen a lower price since May, and the all-time low of $23 was way back in September 2016. These Ultra Fit USB drives are extremely small, just barely jutting out from a PC's USB port when inserted. If you have a laptop with a low amount of storage, this is a particularly ideal solution. You won't notice the drive too much, and it can act like semi-permanent storage. 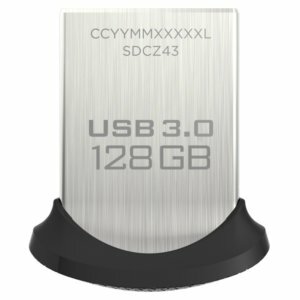 Do note that because of its size, it can get fairly warm (which may affect performance), so a physically larger thumb drive is a better option for frequent use. For the week of Dec 24 through Dec 30, Office Depot has dropped the Samsung U28E590D UHD monitor to $300. That's $55 cheaper than other retailers right now, and $100 off the MSRP. 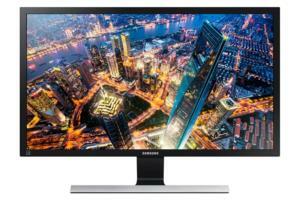 This is a solid price for a Samsung monitor with 3840x2160 resolution and dips close to AOC-level pricing. The monitor comes with AMD FreeSync, allowing gamers with a compatible AMD Radeon graphics card to take advantage of variable refresh rates. For ports it's got two HDMI, and one DisplayPort for the FreeSync action. The display offers a 1ms response time, and it's also got a picture-in-picture mode if you like to stream movies or Twitch while you're banging out some work in Office. Voracious readers out there should check out Amazon's current sale price of $83 for its Kindle Unlimited subscription service. 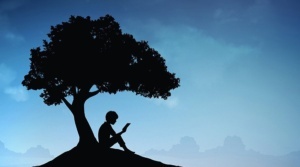 That's 30 percent off the usual price, and it gives you the right to read more than one million Kindle titles at no extra charge for twelve months. It's not clear when Amazon's sale price ends. Best Buy has a bunch of Chromebooks on sale right now that come with a free Google Home Mini. 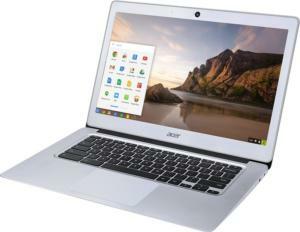 Our pick of the crop is the Acer Chromebook 14 CB3-431-C5EX for $250. It offers a 14-inch 1080p screen, an Intel Celeron N3160 processor, 4GB RAM, and 32GB onboard storage. While the processor is an entry-level quad-core CPU, it works quite well—I happen to own this laptop and love it.